This huge slab shows a bed of multiple crinoid fossils. Crinoids are marine plants of the same family as starfish and sea-urchins (with five-fold symmetry). Sticky mucous on their arms traps nutrients in the water, moving them down to the mouth at the base of the crown of arms (the top half of the organism). Each delicate strand of these arms has been preserved in this fantastic specimen. 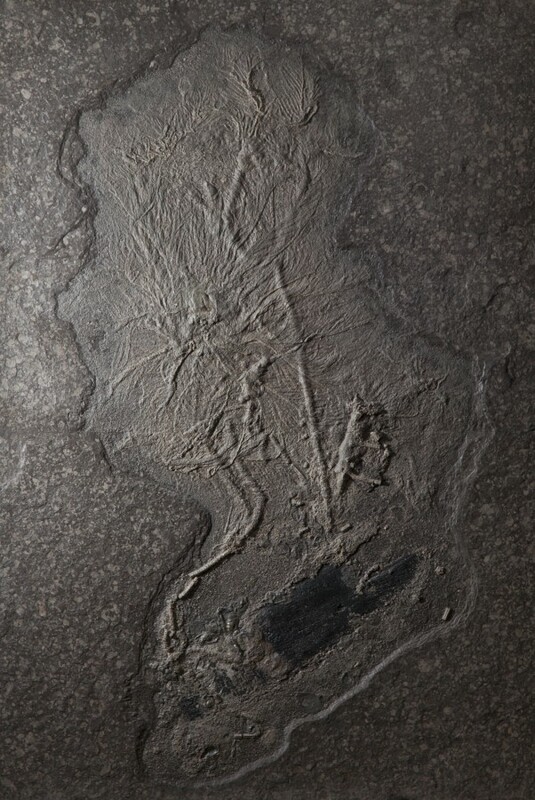 Before the Permian era (260 million years ago), crinoids attached themselves by a stalk and tentacle-like legs. These moved the organism around to find the most nutritious areas of water. 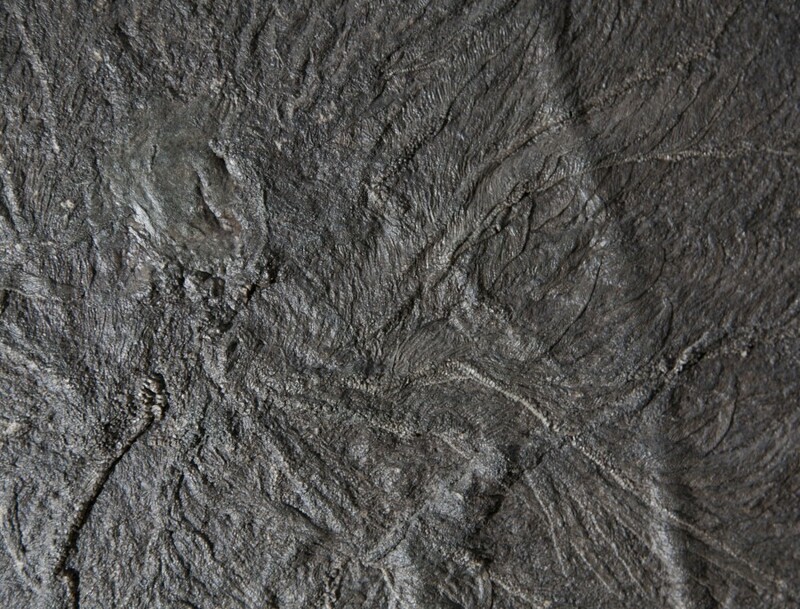 The stalks of these can be clearly seen in this fossil assemblage, and are made up of small circular plates, or ossicles. Crinoids would live on coral reefs or on the sea floor, and these particular clever organisms managed to attach themselves to a piece of driftwood! This has also been preserved, and is the black slab at the bottom of the piece. Since these times, the number and diversity of marine predators has soured, causing the crinoids to retreat to the deep ocean, where they can currently be found. Many no longer have the long stem that can be seen in this fossil, but live only with their crowns: the royalty of the deep! Crinoids organisms are famously difficult to preserve, as they rapidly dissociate (fall apart into small pieces) after their death. 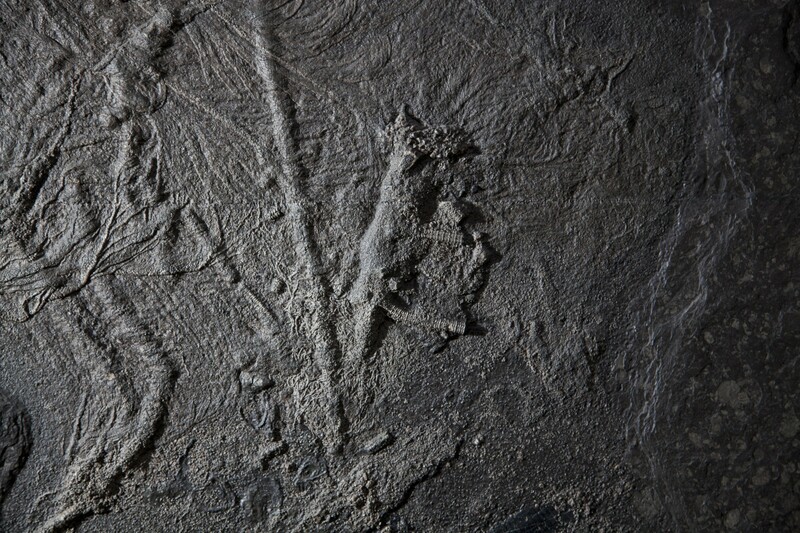 The size and number of near-perfectly preserved crinoids make this piece unique. 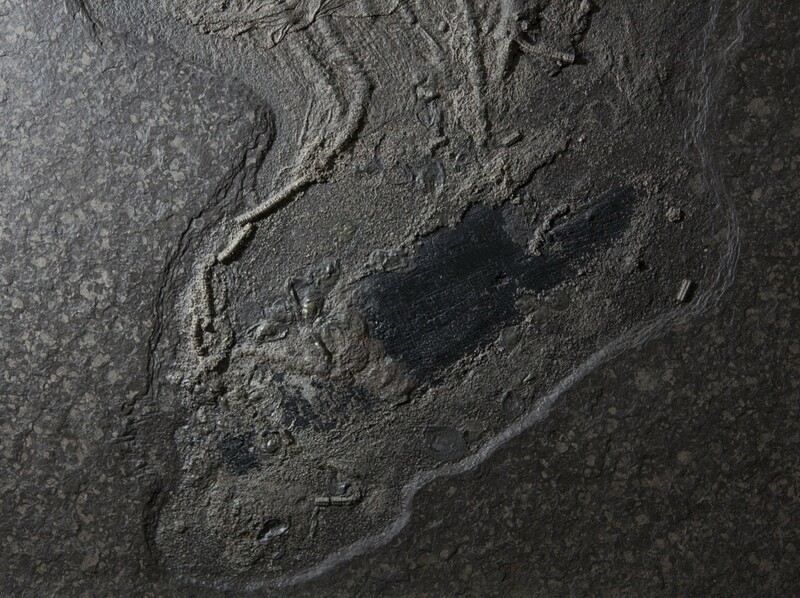 The exquisite preservation is due to the surrounding rock: Poseidon oil shale. 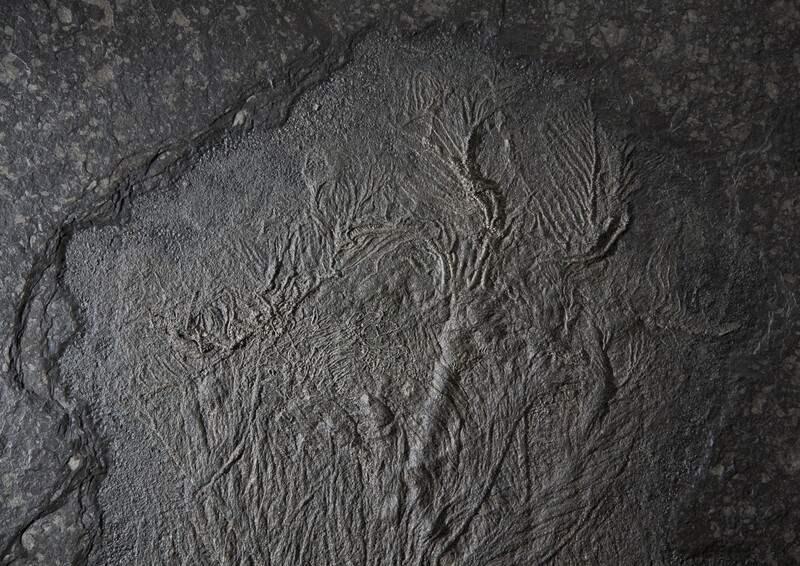 Oil shale is formed from a vast quantity of organic matter; it seems as though many organisms benefitted from the nutritious waters where this crinoid bed lived!